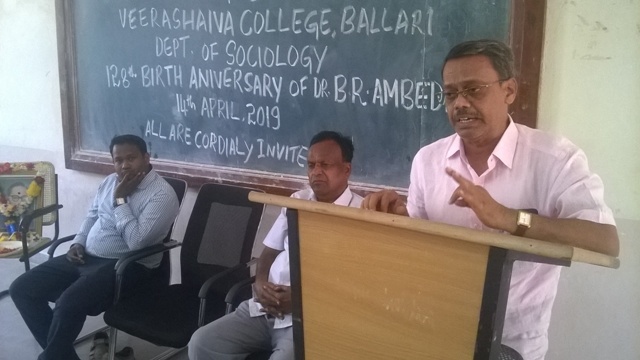 The celebration of 128th birth Anniversary of Dr.B.R.Ambedkar was celebrated on 14/04/2019 by the Department of Sociology. Dr.G.Rajashekhar, Principal, spoke about the contributions of Dr.B.R.Ambedkar after garlanding and offering pooja to his portrait. 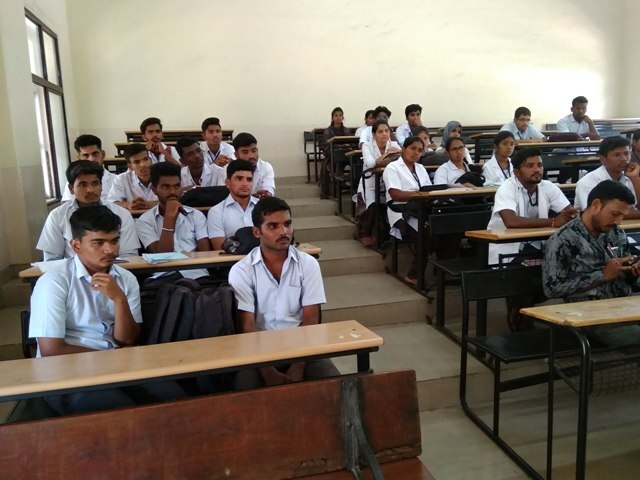 In his speech, he said, the attitude of people towards depressed classes should change completely to bring about social equality in the Indian society. Untouchability is not merely a social problem but it is also landless, poverty and unemployment problem. Because of prohibitions in caste system the untouchables have been facing poverty and unemployment. Unless we abolish untouchability no improvement could be seen in the standard of living of the untouchables. The practice of looking at human beings lower than the animals should become a thing of the past. Shri Siddaram G.Mulaje, Head, Department of Sociology delivered a special talk on the agitation launched by Dr.B.R.Ambedkar with an objective to crusade against inequality, casteism and untouchability. He also emphasized about the principles suggested by Dr.B.R.Ambedkar like self respect, self dependence, self improvement, self dignity and self progress for the progress of daliths. Dr.Ambedkar gave call to the daliths to come out from the traditional occupations. At the end of his speech, he appeal to the students to adopt the values of life of Dr.B.R.Ambedkar in day to day life to show real respect to him. Dr.Venkatesh Bhovi & Retired Professor Shri K S Raju were invited as guests. Dr.T.R.Ravi Kumar Naik compeered the programme and proposed vote of thanks.